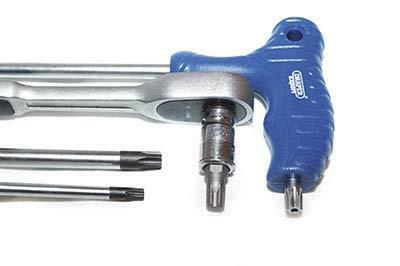 Whether you strip and rebuild bikes from spindle-to-spindle, dabble in home servicing, or simply adjust your bike’s chain, tools are a bike and man’s best friends. But not those bits of cheap tat laughingly known as ‘the standard toolkit’ kept in a plastic pouch under the seat. Quite simply these are mass produced, cheap, easy to bend/break bits of nastiness made of soft metal – with the exception of BMW toolkits. Most of the spanners are open-ended and prone to ‘opening out’ where the jaws don’t grip precisely and round off the fastener heads. If they have to be used, make sure it’s only in an emergency. To keep your bike’s nuts, bolts and other fasteners in good condition and to ensure they can be undone and removed with ease, nothing but decent tools will do. The temptation to spend a fiver on a big shiny do-everything toolkit is huge, but this is likely to prove a false economy. Cheap tools, although better by being tougher and more precise than the stock crap under your seat, aren’t that precisely made, can deteriorate fast and will eventually damage fasteners, eating into the value of your machine. And what’s the point in paying for tools you’ll never use? 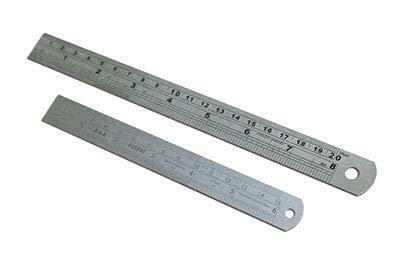 If your bike has metric fasteners, then buy a metric-only toolkit. Better still; build a kit specific to your bike, and go for reputable top quality brand names that won’t cost the earth, like Teng, Draper or Halfords. Is it seriously worth paying that much more? Yes. Apart from making home mechanics a damn sight easier, there’s also the delight in handling something so precise and perfect – it’s a ‘man thing’... Having splashed proper cash on a toolkit fit for a GP pit crew, don’t then ruin it. 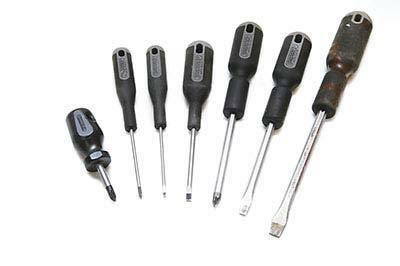 Using screwdrivers as chisels or spanners for hammering will knacker them. Either buy the proper stuff, or buy some cheapies you don’t mind blunting and bending. After use, clean tools with a clean, oil-tainted cloth to remove grit and corrosive fluids before storing. And don’t lend them out – more friendships have been ended over the ‘loss’ and damage of tools than poker games or loose women. 2. 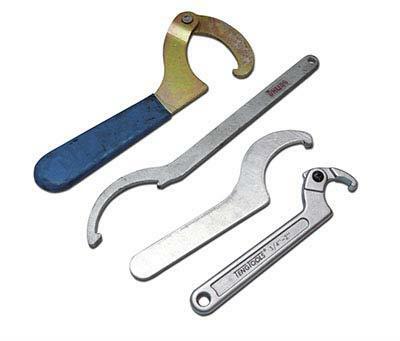 …However, for anything over 19mm, such as swingarm spindle nuts, or even smaller engine and suspension mounting bolts but which require a high torque-tightening figure, a heftier 1/2in drive ratchet should be used. Cost can be kept to a minimum by buying specific-sized individual sockets. One for the rear wheel spindle nut is a priority. 3. Spanners are used when there’s no room to fit a socket. 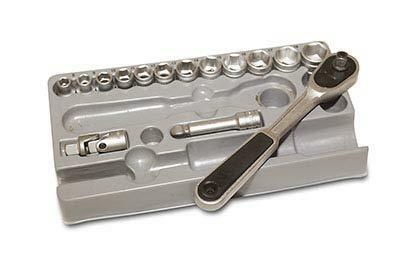 Combination spanners – open-ended one end and a ring spanner (like a flat socket) the other – are the best bet. After buying a quality 8-19mm set, it’s a good idea to back up with a cheaper set of the commonly used sizes as it’s often necessary to hold a bolt as you undo the nut. 4. There are few jobs on a bike that invite the use of pliers these days, but they’ll always be handy (freeing off stuck clutch adjusters, removing fuel pipe clips etc). Look for the type with rubber handles so you can hold them with greasy hands. 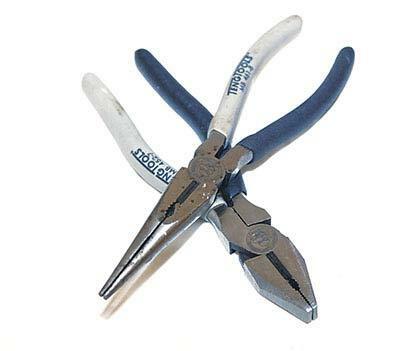 Long-nose pliers are good for inaccessible areas (dropped nuts a speciality); flat-nose offer good grip. 5. Recessed (Allen) bolts for bodywork etc, are easily damaged by worn, cheap or ill-fitting Allen keys. Quality keys fit better and last longer, and T-handle keys are easier to use and better for stubborn bolts. 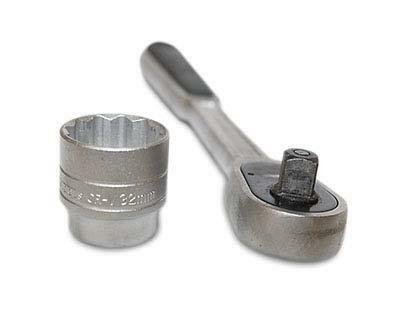 Over 10mm, or with a high torque figure, it’s best to use a 3/8in drive ratchet with Allen socket attachments. 6. It’s essential to use the right type of screwdriver, in the correct size. The type you’re looking for will have hardened tips to prevent premature wear (screw heads soon chew up) with large rubber, easy grip handles. Pozidrive (crosshead) sizes #1, #2 and #3 are the minimum required, plus varying sizes of slotted (flat-bladed) drivers. 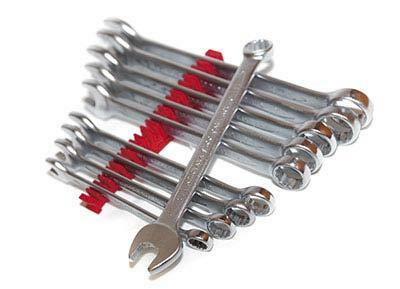 C-spanners are prone to wear and there’s only ever one in the toolkit when you need two to lock them after adjustment. Match the original to a quality aftermarket item, with a hinged lever for better purchase. 8. Torx-system fasteners have a greater surface-to-surface area to allow more torque to be applied without knackering fasteners. Some screws are the specialist anti-tamper type (with centre pin to prevent a key being fitted). 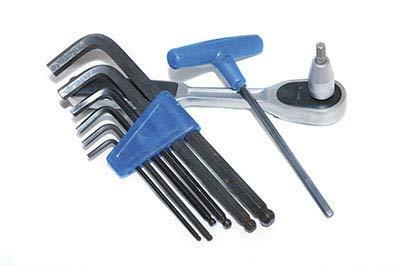 Small Torx sets can be bought for £5 anywhere, but larger ratchet driven keys should only be bought from tool specialists. 9. 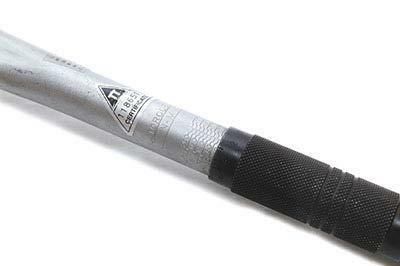 A torque wrench is one of the most frequently used and most important tools you can get. In a nutshell, it’s a ratchet-like device with an adjustable clutch that stops turning the nut/bolt when a predetermined torque figure has been reached. 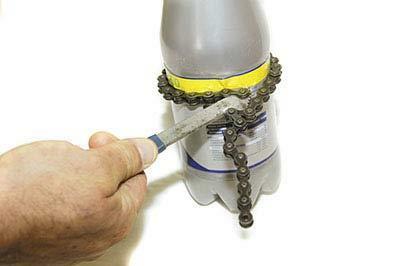 This prevents nut and bolt threads from being over-stretched or breaking off. 11. Basic servicing requires certain tools. 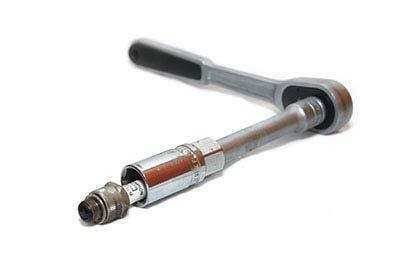 Spark plug removal requires a plug spanner or socket. Both should have a rubber section to grip the plug when removing or placing it in the cylinder head. Socket-types are better as you can build up the shaft length from socket to ratchet – good when there’s limited working space around the engine. 12. Oil is an engine’s blood, just as important is the oil filter to strain the oil to capture particles generated by internal wear. To remove a filter when there’s limited room (eg, if you have exhaust pipes in the way) and to install a new one correctly, a chain wrench (£5) or filter socket (£10 from any car accessory shops) is a must.